Autumn is coming? - monemades Webseite! Fortunately not yet, the summer is back in Germany, but last week it certainly felt like autumn already. Grey, rain, and even when there was sun it was rather cool (come on, 16°C at the end of July? 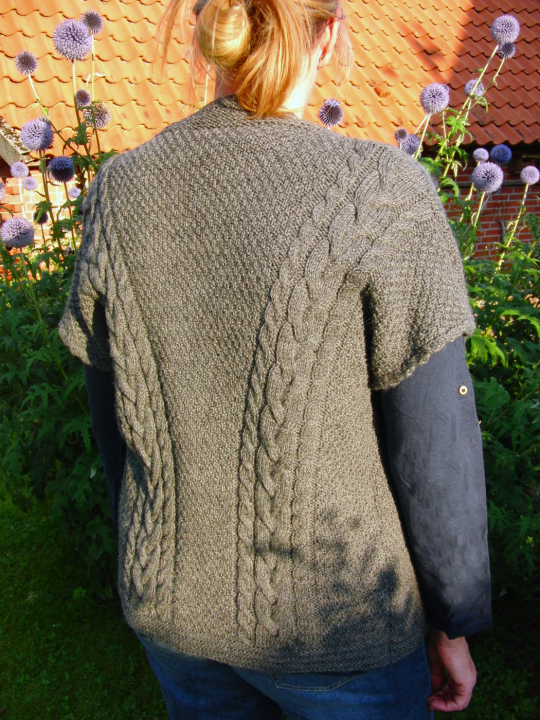 Brrrr) – so the prototype I’ve knit for my latest pattern came in handy. My vest was knit in Wool of the Andes Sport in ‘Cobblestone Heather’ – which I chose because I had planned to give the vest away, but it turned out a bit big – and I admit I like the colourway used in the sample for the book much better: Claret Heather. I might have to make another one for myself. 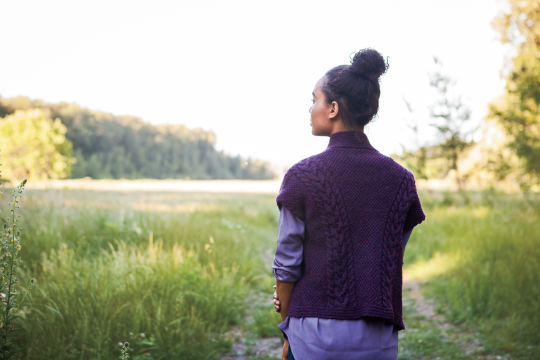 The pattern is called Fall Day Vest and it is part of a Knit Picks collection called Twist & Tweed, with 16 patterns perfect for cooler weather.